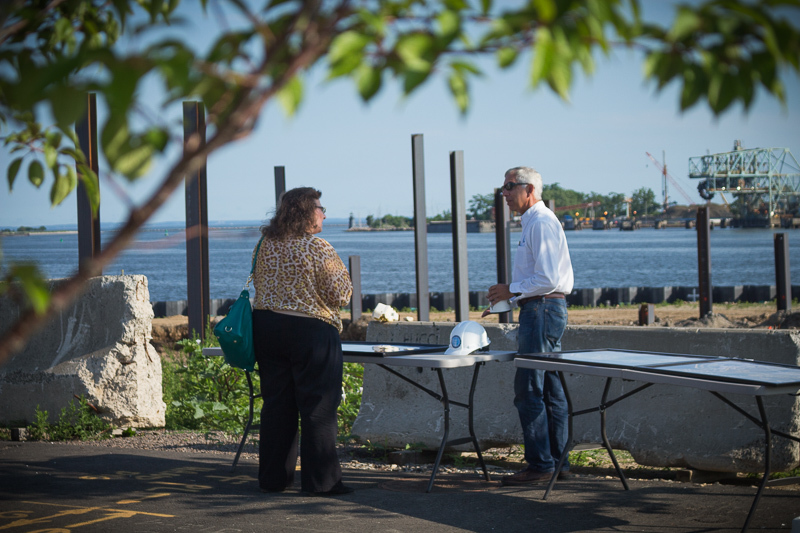 (Bridgeport, CT) — City and State officials recently got a first-hand look at the construction taking place at Steelpointe Harbor in Bridgeport, Connecticut. 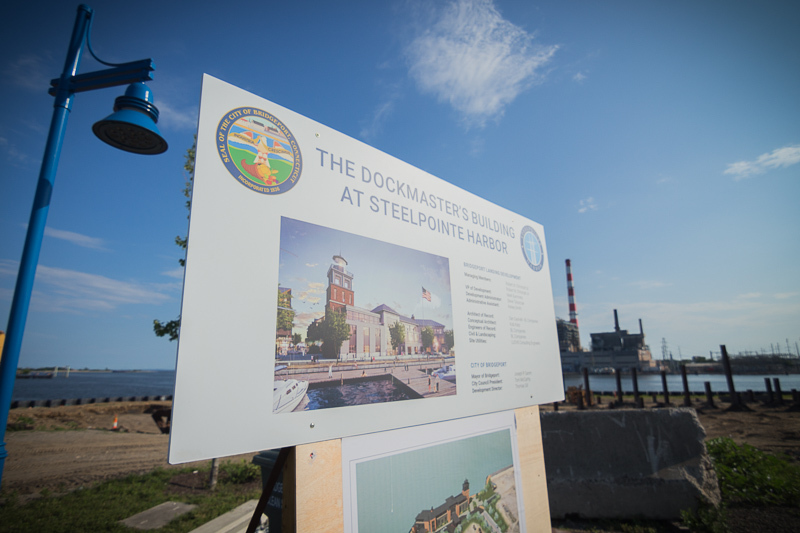 Beneath the towering beams of the Dockmaster’s Building now under construction seven Council Members, elected State Officials and City Hall representatives got to hear from Bridgeport Landing Development’s Vice President of Development Mark Summers. 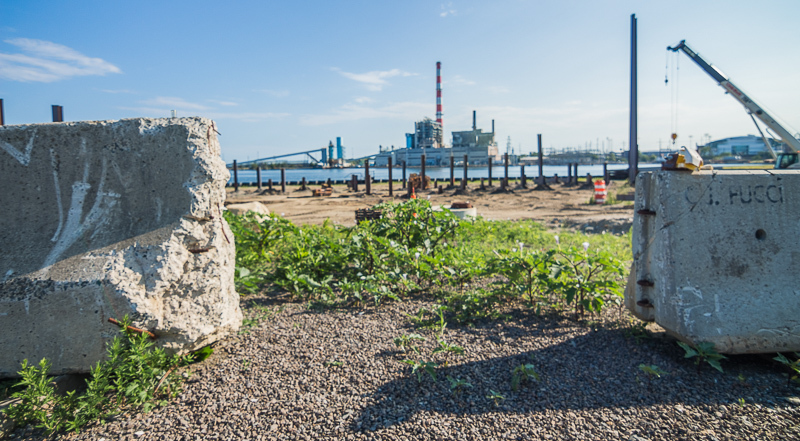 At the end of Pembroke Street, just a stone’s throw from the harbor, officials perused architectural drawings that helped the visitors visualize the development to come which included a harbor walk, restaurant, lighthouse, marina, apartments, and sculpture garden. 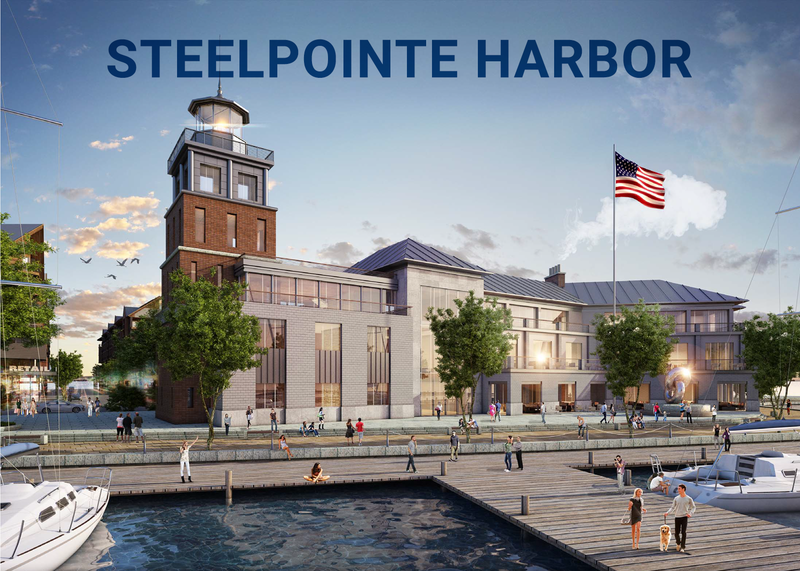 The development to come will add to the previously built BassPro Shops, Starbuck’s, Chipotle, and T-Mobile retail locations north of Stratford Avenue. 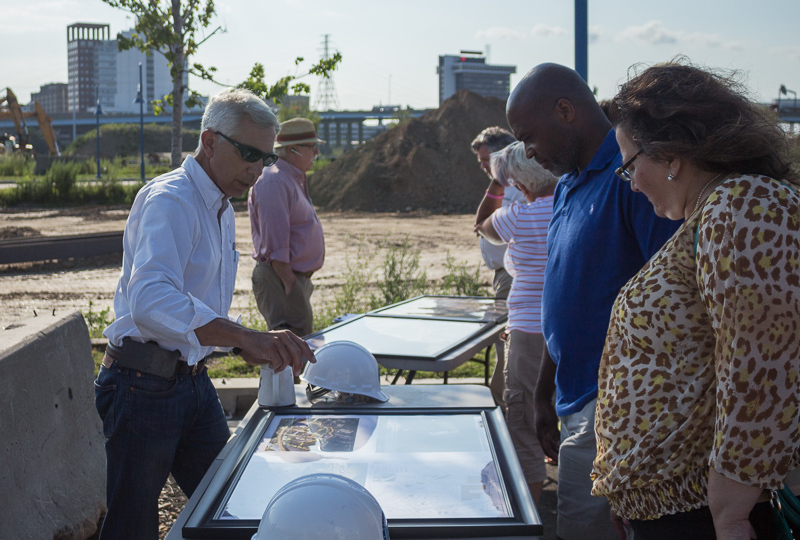 The government representatives in attendance were impressed with the plans which one day will draw large yachts and pleasure crafts to boat slips in Steelpointe Harbor’s Marina expected to be completed next year. Summers says ground will soon be broken for 182 residential units, a garage facility, and first floor retail. That retail he says may include an opportunity for local entrepreneurs. Council woman Evette Brantley thanked Summers, Development Administrator Steve Tyliszczak and the owners for their perseverance on the project.